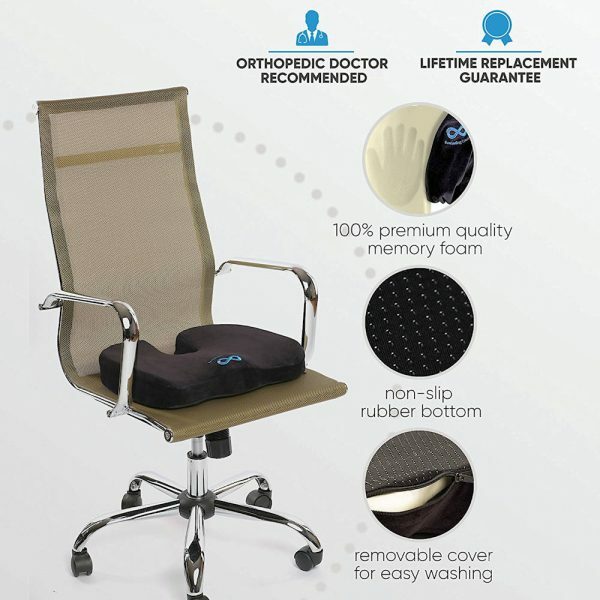 The pure memory foam used in this seat cushion offers relief from tailbone issues, but you don’t have to have this condition to benefit from the best coccyx cushion. 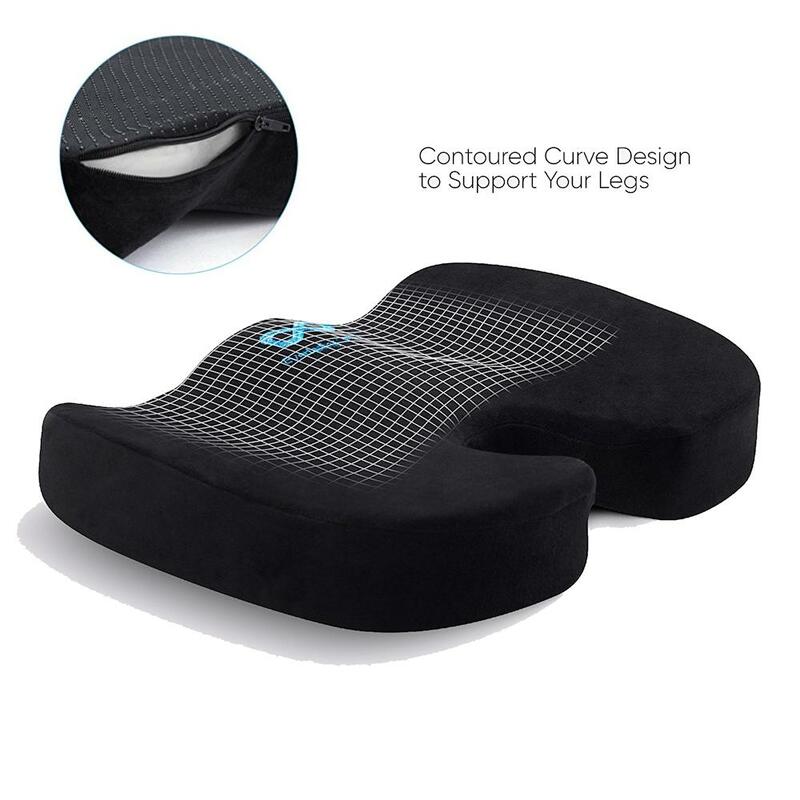 The soft memory foam and contour shape and design helps with both acute and chronic pain by adjusting pressure for the lower back and thighs, along with the special cut out to completely remove pressure on the tailbone. The memory foam uses optimal density for support and cushioning to achieve pressure transfer. Recommended for 100 – 300 pounds. 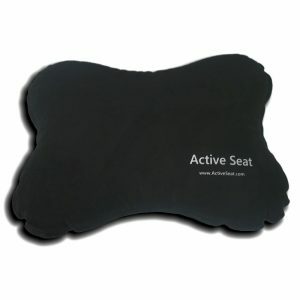 It has a special rubber bottom to prevent slippage with a machine washable, removable cover. 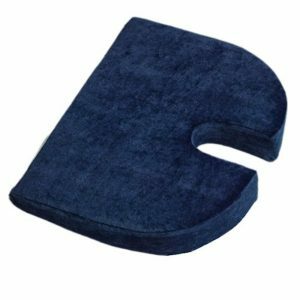 Fits most seats, measures 17″ x 13.2″ x 2.4″. 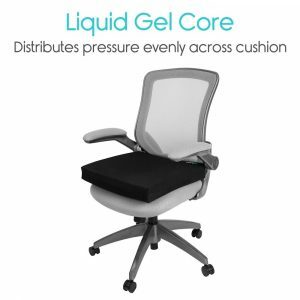 The cushion also improves hard seating surfaces like plastic or wood bottom chairs, stadium or bleacher seats, benches, airplane seats and more. 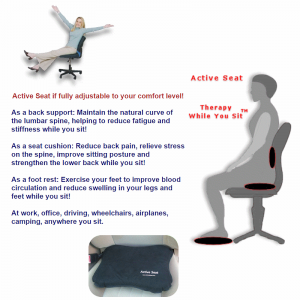 Provides welcome relief for back pain and sciatica sufferers and helps with sitting discomfort during pregnancy. Remember, memory foam, while very comfortable, will compress and will be heating. This helps conform to your specific contours for a good fit, however, it can retain heat. It will be firmer in colder temperature and softer in warmer conditions. So, room temperature offers the best performance. It will compress more, the more weight is placed on it, so be careful with reviews with some saying it bottoms out with lightweight, and others saying it holds it shape and support at high weights. 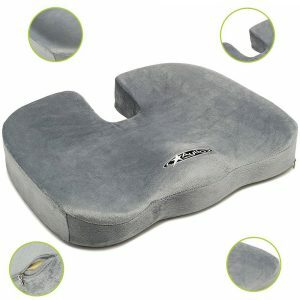 It does help to relieve pressure points and may overall be the best coccyx cushion for those who prefer a soft cushion. 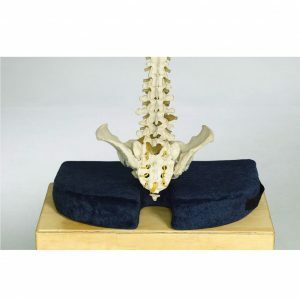 While the memory foam will retain it’s shape with pressure, it is a good overall cushion for the hips, spine, lower back and tailbone; you will have to decide which type of support you need regarding severity of condition. 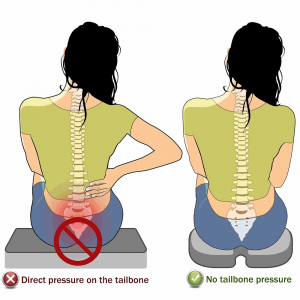 If there is a high level of acute coccyx pain, a firmer cushion may be the best initially to have that extra measure of security when sitting for relief and healing. 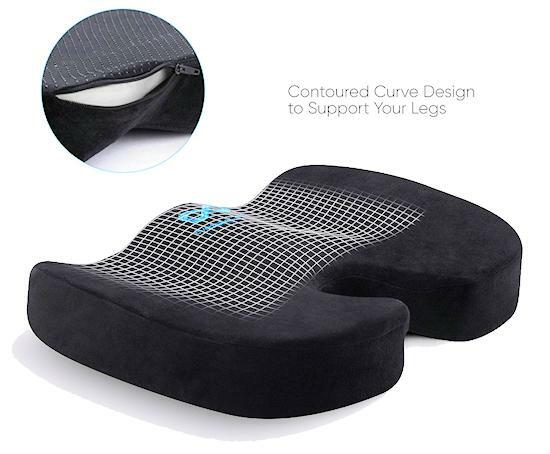 Once the initial pain has subsided, a memory foam or lighter density regular foam cushion that does not react to changing temperature may be best. So, you may need a progression from firm to soft, or soft to firm; consult your health care provider for suggestions related to your personal condition(s). 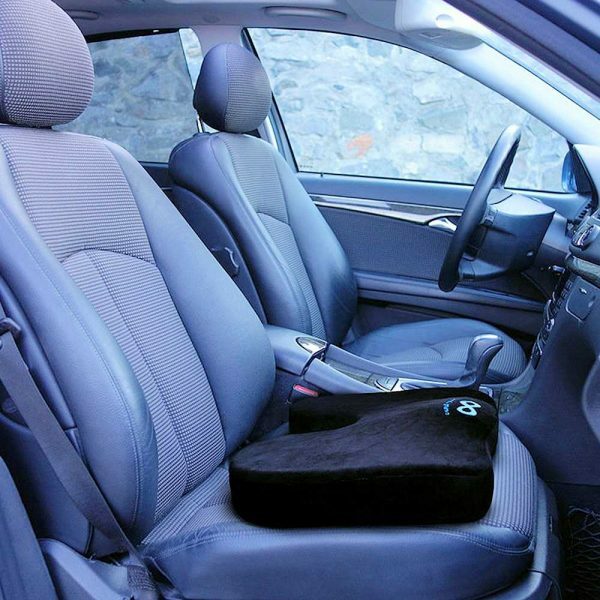 When choosing the best coccyx cushion, one must also take in consideration the surface it will be used. If it is a wooden chair with a tied fiber cushion, you will probably want to take it off to prevent imbalance and get the most out of the ergonomic design. If you use in the car, is you seat soft or firm. Is it the best coccyx cushion? Hopefully, the information can help you decide. Take into consideration both the benefits of memory foam and it’s potential problems and apply that to your specific needs. Remember if you have a special seat you intend to use, pay attention to the measurements. With options available, you can decide which is best.